Anchor: A new healthcare services Bundaberg helping couples desperately wanting to have a baby. Fertility solutions has opened a lab facility offering everything needed for IVF treatment, without the stress of having to travel long distances to get specialist help. Female Reporter: Little Silas loves to play with toy cars. He’s a small miracle for his parents. 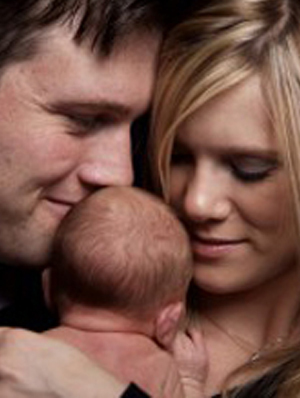 The couple tried for seven years to have a baby before Silas was conceived through IVF. Mother: The cycle that we fell pregnant with Silas was going to be our last cycle, so it was really surreal. Female Reporter: Selena had to travel more than three-and-a-half hours for IVF treatments. Mother: Because my husband had to get days off work to come down to the Sunshine Coast when I had to have treatments and things like that. Just to be a support. Female Reporter: After four years of traveling for treatment, Selena finally became pregnant. Now, other people won’t have that added stress. A permanent fertility lab is offering their services, which were only available on the Sunshine Coast. Woman: They can actually have continuity of care because that’s with their own doctors, here locally and their own nurse. Female Reporter: The facility is already proving a success. Woman: We actually had about eight people go through. We had six positive pregnancy tests from that. Female Reporter: The clinic is hoping to expand its services in the future. Woman: There are some situations where people might have a condition that can be passed on from parents to their children and we’re actually going to be offering genetic testing.